Butterfly-aporia Crataegi: how to fight? If you want to enjoy the life cycle of the caterpillar - pupa - butterfly, you can breed your butterflies! Their magical transformation will happen right before your eyes. So you will be able to see that in nature everything is subject to change. 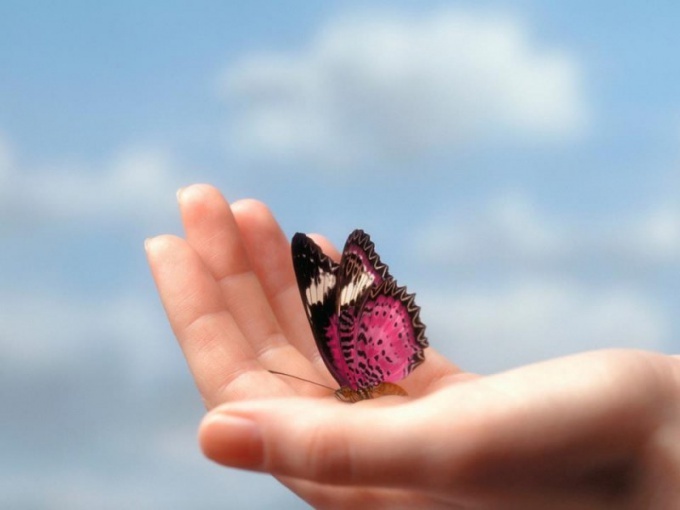 - catch the butterflies and to create conditions for reproduction. The second option includes the first method. So you need 2 butterflies - a male and a female. To know the differences between them, you should observe their Pets. Males are more mobile and almost all the time fly, females are more calm. Make sure that where you keep the butterflies, favorable ambient temperature, and enough food and space. If everything is OK, you will see a mating pair of butterflies. It can take from an hour to 8 hours. Make sure that nothing will bother the animals in any way. Almost immediately after mating the female will look for a place to lay eggs. She prefers to put them on the leaves of plants that the caterpillars have something to eat. Therefore, when breeding butterflies at home you will need fresh leaves. Then place the leaves with the eggs in the box where it should be warm and moist environment, but make sure that there was good ventilation. Very young caterpillars have more moisture than the older. Every day, give them fresh leaves. When the caterpillars are born, they are extremely small and you touch them with your fingers or moving them can be fatal. When the caterpillar reaches its last stage of development, they will try to find a suitable place to pupate. Usually, the caterpillars move around a lot and trying to find a good place to make a cocoon. When you see this behavior, make sure that you have enough space for all the caterpillars pupate. When you find a cocoon, gently move it in a separate box without tracks. In the box should be spacious and better to have a small humidity, it will wet the napkin and put it on the bottom of the box. Pupa - the intermediate stage between caterpillar and butterfly. Hang the cocoons on the ropes, to the butterflies it was convenient then get out of their shelter. In the stage of pupae of butterflies are within a few months, so carefully follow the ambient temperature and humidity. Some species of butterflies do not eat at all. Their caterpillars eat, and do these butterflies have proboscis. These species are easy to keep at home. Butterflies, which feed need in the nectar or sugar water and how to drink. Nectar can be given in fresh colors. But it is easier to make syrup, dissolve sugar or honey in water in accordance 7 parts water to 1 part sugar. Pour the syrup in a Cup and change every day.